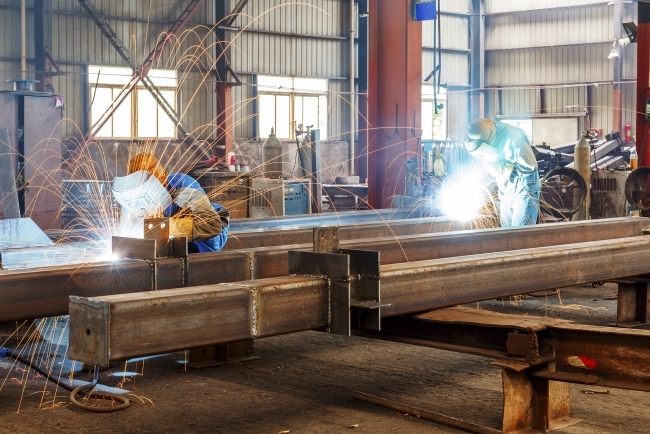 Manufacturers’ remain at the forefront of the UK’s business innovation efforts, according to a new survey published by EEF, the manufacturers’ organisation and Santander. The Monitor shows innovation is key to manufacturers’ success at home and overseas, and is seen as a critical part of their growth strategies. First and foremost, innovation helps manufacturers to do things better. It also helps them to enter new export markets as well as to seek new domestic markets. It’s about much more than new products and new markets. And as a result, the breadth and focus of manufacturers’ innovation activities has changed significantly in recent years. • Propelling more companies towards the productivity frontier requires policy to help manufacturers overcome certainty, capability and cash barriers to more effective process innovation. Confirming the dominance of industry Research & Development (R&D) spend, the survey highlights the on-going prioritisation of investment on innovation in the past three years. While the development of new and improved products remains critical in meeting customer requirements and cementing manufacturer’s position in global value chains, process innovation is becoming even more important. A balance of 37% of companies agreed that process innovation is more important than other forms of innovation. This growing importance is being driven by the need for complementary innovation to deliver leading edge production techniques in support of new products, the need to increase the flexibility of product processes and the increasingly pressing need to improve productivity. 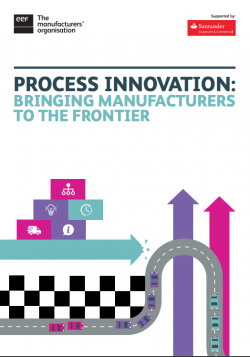 Our research clearly shows that there are no downsides to process innovation, but it is also clear that not all manufacturers are making the most of their efforts. Concerns that there is a chasm opening up between companies at the innovation frontier – investing on multiple fronts, including 4IR technologies – and the less-productive majority, are confirmed. With innovation and science set to be a centrepiece of the government’s forthcoming industrial strategy white paper, it is vital that policy makers also recognise the value of process innovation to drive productivity. Support for innovators needs to be broader than help with new product development, it also needs to help manufacturers bridge the gaps to the adoption of new technologies and modern manufacturing techniques. Lee Hopley, Chief Economist at EEF, said: “Manufacturers are continually having to broaden their horizons when it comes to innovation and investment priorities. It’s hugely encouraging that we see productivity-enhancing process innovations become more widespread in their adoption across manufacturing, in addition to companies retaining their focus on new and better products for customers.